When I was younger, I felt like the words ‘smoky eye’ were limited just to dark greys and blacks. How wrong I was! A smoky eye can be any colour palette that suits you, but there are definitely a few tips that I have learnt over the years that ensure a perfect smoky eye each time! The picture above is from my MAC woodwinked post but it’s one of my favourite smoky eye pictures so hey ho! Use a good base! I like to use the Urban Decay Primer Potion but I have heard the MAC paint pots are pretty good too! Start with a neutral colour palette. Before you go wild with dark or bright colours, stick to browns as they are a little more forgiving if you go in a bit heavy handed or don’t blend quite enough. Start light and build up the colour. The first colours you should apply should be light and you can build it up from there, you can always add more but you can’t take away so start light! Good quality and fluffy brushes! I love the Real Techniques Brushes and the Lamora Brushes which I mentioned in this post. They are both synthetic so they are perfect for buffing and blending out shadow. You want the edges to be the most smoky and the lines not too harsh so this is where the blending will be concentrated. Sticky Tape or Post-It’s are good for creating a wing. 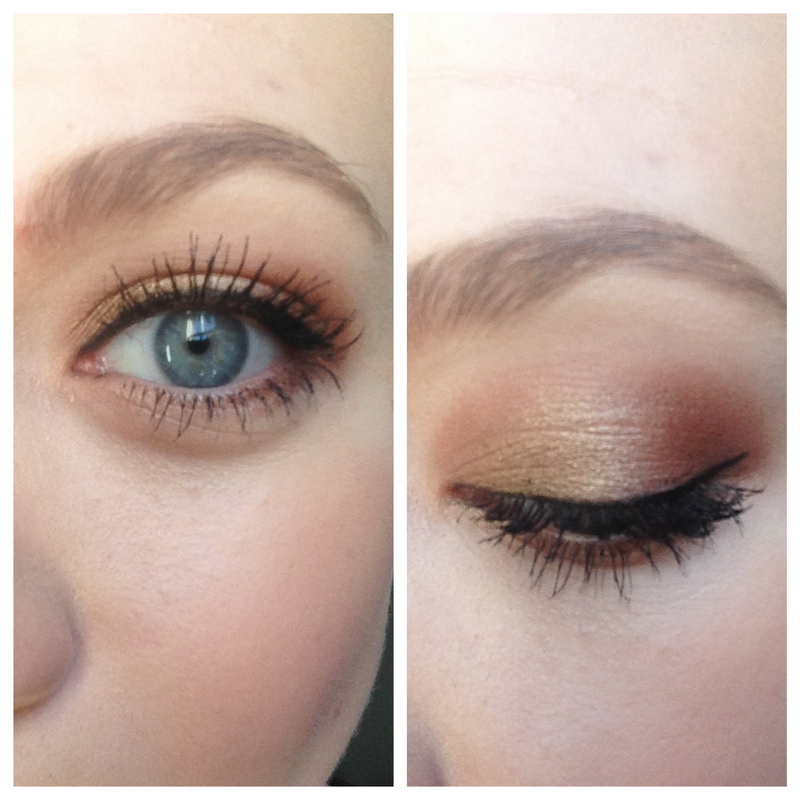 Sometimes, you want to create a good wing shape with your shadow to elongate your eyes. Placing a piece of sticky tape from the corner of your lower lash line to the edge of your eyebrow will create the perfect shape and will keep the line nice and precise. Matte colours are a blending must have! I like to use shimmer colours on the mobile lid and matte colours in the outer corner and crease, it helps to stop the whole thing looking like a giant glitter ball. This is something I have only discovered in the last 4 years and previously I favoured the whole ‘shimmer everywhere’ look! Carry it onto the lower lash line. I like to use the matte shade I used in the outer corner, on outer two thirds of the lower lash line. This ties the whole look together and continues the smokiness. If you’re going to highlight under your brow, keep it matte! I hate shimmer under eyebrow highlight! I feel like it looks really 80’s/90’s?! I don’t actually ever highlight under my brow as I’m not a fan but I know a lot of people do, so choose a matte shade a little lighter than your skin tone, it will keep the look subtle and classy. Shimmer or matte, inner corner highlight. I have to say, I do like a shimmer inner corner highlight but matte also looks nice too! Use a pencil brush and concentrate this on the inner corner and the inner third of the lower lash line. Practice! Make sure you practice, with different colours and different shadows, and keep a light hand! The lighter your hand the softer and more smoky it will look. I hope you have found these tips useful, or that you’ve picked up one that you didn’t know before. Do you have any other tips to add to this list? If so leave them in the comments for both me and the other readers to have a look at! Great tips I am def going to use some of these when Im attempting my Smokey eye. Such a beautiful eye look! Love it and great tips too! I really need to try out MAC woodwinked, looks such a pretty shade! Great tips and your eyes came out beautiful! Great tips! Love all of these! God yes. Start light and build. I remember when I was first learning all of this. So terrible! hahaha! Fab post, love your makeup! My tip is to do your eyes first in case of fallout! Oh yes! Good one! I always mean to do that but forget to!